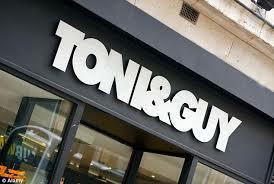 TONI&GUY Weston-super-Mare opened in the seaside town in 2002. As a well established salon we pride ourselves on our friendly and professional service. Our salon team are on hand to create hair that is individual and easy to live with, interpreting fashion trends with versatile wearable styles. Relax in the salon with a head massage at the backwash and let the team look after you. TONI&GUY Weston- super-Mare boast a very experienced and creative team with our Technical Director holding the L’oreal Colour Specialist degree. We offer many additional services including Occasion hair packages, and the Nano-Keratin Brazilian Blow-dry for smooth, manageable hair. Our product ranges include label.m, GHD and Moroccan Oil to keep your hair salon perfect. We also have and in-salon nail bar. I went in to get a re cut as another hairdresser messed up my hair. Poppy was amazing I absolutely love my hair now. Poppy has a fab personality and a very good stylist. I will return. Always great professional hair care and friendly staff. Consistently friendly, consistently high standard of cut...... and thoroughly recommendable. Always a pleasure to be a customer of Georgina’s, as I have been ever since moving to the area a few years ago. Georgina listens to what I want and does it exactly. Excellent cut as always. Always the same happy girls and consistent service every time - and my dog is welcome too! Once again a great service and with the added benefit of using my points , great value for money. The staff is so friendly and helpful with my autistic son. Really good haircut as always. Great service and friendly professional hair care. Been coming to toni and guy weston salon for years. Emma was amazing. Haven’t been in for a while and she did just want I asked for and more! The staff were friendly and accommodating. They listened to what I wanted, love the result. Georgina has cut my hair for over a year now and she is the best, she has been so sensitive with me and has helped me through a very difficult time with my hair and for that I am truly grateful. Every member of staff is lovely and know exactly how to execute the hair style you want. Would definitely recommend. Very friendly staff and excellent service. I am always impressed with my hair when I leave. Emma did exactly what I wanted and my husband commented when I got home that my hair looked nice!